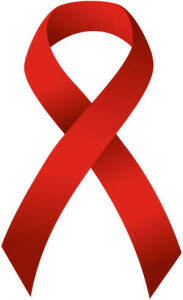 Home » Can Someone Who has HIV/Aids Get Life Insurance? Can Someone Who has HIV/Aids Get Life Insurance? Currently, 73,000 Canadians live with HIV/AIDS — up from 69,000 in 2001. They can expect to live into their early 70s, making life insurance a realistic possibility. Traditional life insurance is generally not available for people with HIV. Most simplified issue plans (which include no medical tests and a limited number of health questions) also have an HIV/AIDS-related question. However, guaranteed Issue life insurance (which include no medical tests and no health questions) are available. The Edge offers up to $25,000 in coverage. Bingham Group Services also offers a Guaranteed Issue Mortgage Insurance Plan. BMO, RBC, and Manulife sell guaranteed issue plans direct. Most guaranteed Issue plans offer limited face amounts of $25,000 or less and limit the death benefit for non-accidental death to a return-of-premium plus interest in the first two years. Bingham Group Services’ Guaranteed Issue Mortgage Insurance Plan must be linked to a loan, and coverage can be configured to the full amount of the loan up to $500,000, or to cover a partial loan, depending on the insured’s budget. On the downside, any pre-existing conditions, within 12 months from the policy issue date, will not be covered for the duration of the policy contract. I ma 42 looking for $100,000 which companies offer Life Insurance for someone with HIV. Thanks for the note. The Edge, Humania Assurance and Bingham Group Services offer insurance for someone with HIV. The BGS plan is linked to the insured’s mortgage and also has a lifetime exclusion of pre-existing conditions treated in the last year. Hi Larry, The Edge has a Guaranteed Issue which will cover you for up $25,000 Bingham Group Services has a Guaranteed Issue Mortgage Insurance plan and Humania Assurance has a plan which you could qualify for if your working. BMO Insurance and Manulife also offer direct Guaranteed Issue plans.